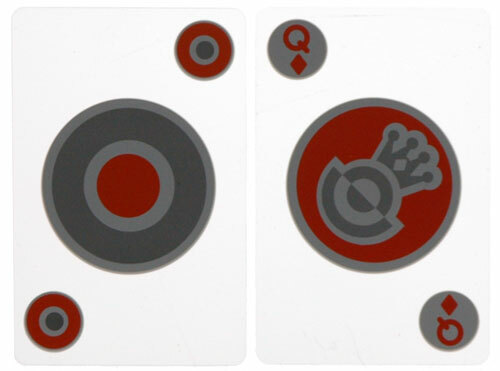 Invisible Playing Cards are waterproof, clear, plastic and cool! It was love at first sight when it came to these Invisible Playing Cards. Now, before you get too skeptical, they're not actually 100% invisible. They're made from clear plastic, so they are see-through. They're also completely waterproof, yet they still feel like their paper counterparts. What we also love about these decks is that they come in a handy, plastic carrying case. No more trying to shove your cards into a beat-up old cardboard box. Before we deal with the issue of whether or not these clear playing cards are indeed invisible, it's important to note that they're waterproof. This is handy because there always seems to be a lot of drinks around when the betting begins. 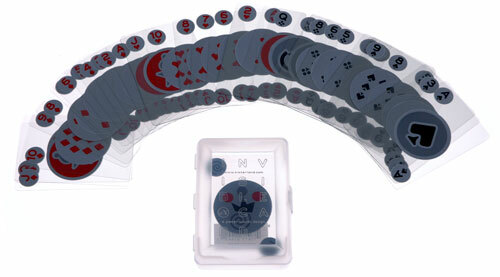 Each set of waterproof Invisible Playing Cards come in a durable plastic carrying case. Okay, so these playing cards aren't 100% invisible, but they're certainly see-through! Hey, we didn't name these beauts. Plus, if they were completely invisible and you were still interested, we've also got a $100,000 invisible piranha for sale. 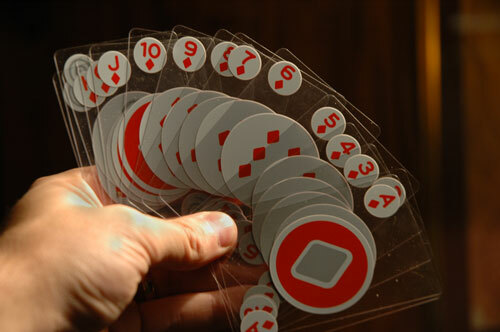 Although not technically invisible, these clear plastic playing cards are see-through and waterproof. They'll never get ruined if you spill a drink on them. Just rinse 'em off. They're 100% waterproof playing cards. The handy plastic case will never get damaged whether you sit on it, spill on it, or throw it against the wall in disgust because you were certain you could out-bluff Chris Moneymaker. 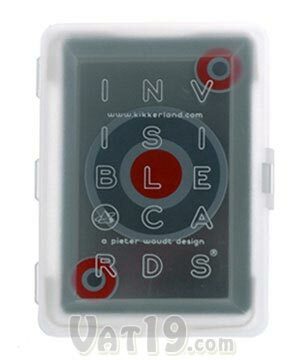 Each deck of Invisible Playing Cards comes in a tough clear plastic carrying case. Casinos use plastic playing cards. They do this because they're more durable and harder to mark. If you find yourself playing cards with less-than-honorable sorts, it's time to break out the Invisible Playing Cards. Uncle Manfatta won't know what to do without his dip-stained King of Hearts or his dog-eared Ace of Spades. Your Invisible Playing Cards will pay for themselves in no time. 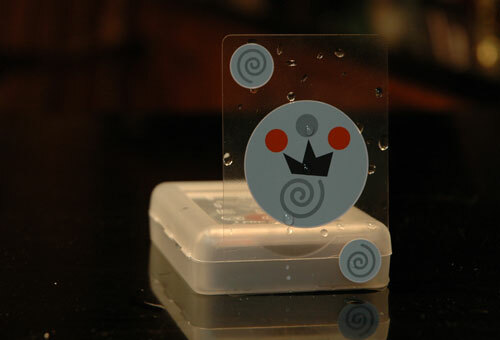 Since they're made out of clear plastic, the Invisible Playing Cards are waterproof and rugged. If the dealer shows 6, double-down! If the dealer is showing a 6, they have a 42% chance of busting. This percentage drops down to 26% when they're showing a 7. If you have the opportunity for a double-down, strike while the iron is hot! What does this have to do with our Invisible Playing Cards? It proves that we're serious about our playing cards! Or it proves that we did a little web research on Blackjack. Either way, we're serious about something. Modern styling. Waterproof plastic playing cards. Happy bluffing!